People often assume I read so much because I am a book blogger. 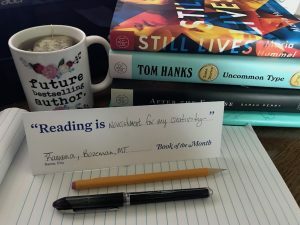 The reality is, I started this blog to combine my passion for writing with my already avid reading habits. I’ve written previously about reactions I receive from those who assume I don’t do anything else worthwhile if I’m able to read so much. Yes, I read 20 times more books per year than the average American, and I am a fast reader (to the point where I have retention issues) which helps me get through so many titles. What I’ve become most adept at though, is combining reading with other meaningful things in my life. Belonging to book clubs gives me reason to read AND provides a social component. 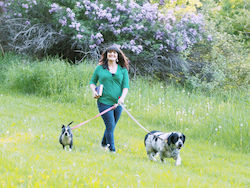 I listen to audio books while doing a lot of daily tasks, such as driving, walking the dogs, and housework. I quit books I don’t like. This may seem counter intuitive, but slogging my way through a book I’m not enjoying is torture, and can take forever. While I could fly through two or three novels I love in the same amount of time! I have multiple books going at once. I allot 15-30 minutes of every morning to read from a non-fiction book in the personal development realm. I have an audio book going for day time listening. I have a novel for reading at night before bed. Tell me about your reading habits. Do you think my tips could help you make more time for reading in your life? I am a slow reader and I can read a novel much quicker than most other material. In the past most of my reading has been for technical information. Now, part of it is online as research for my travel blog #blogboost challenge. I really appreciate audio books. They keep me “reading” at a steady pace without going back to reread material. I can also listen to them at 1.25 x the original rate. Now I can borrow digital media from a library and that forces me to schedule myself to reading a fixed block of pages each day to complete the book before the due date. This month I have no time to read other than research for this #blogboost. More and more of my reading consists of blogs and magazines – not necessarily a good switch considering I used to read several books a month and listen to audiobooks on long trips (now, it’s satellite radio). Throughout my life (I’m 65) I used to have several books going at once. I have never tried to finish books I can’t get into. Life is too short! What I will do is try skipping around in the book (I know, for many readers, that’s considered heresy) but sometimes it ignites my interest enough to go back and try again. I do need to get back into audiobooks again. Except if I really love a book, I scheme through – looking at the TOC, first section (or last! ), and parts that look interesting. Then, I put them on my bookshelf and pull back any one when I need info or inspiration. I love books and that’s how I enjoy them for now with what little time I have. Thanks for this inspiring post! 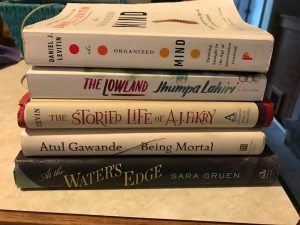 A few years ago, I got into a little bit of book blogging myself and ended up reading about 25 books for the year. The next year I increased to 60, followed by 65 last year. This year, my goal is 70. I’m at 39 so far and according to my tracker, I’m 2 books ahead. I prefer to read one book start to finish and like you, I will stop reading if it doesn’t catch my attention within the first few chapters. I’ve forced myself to finish books before and it was excruciating! I prefer paperback to ereaders or audio but do read a mixture of all three. 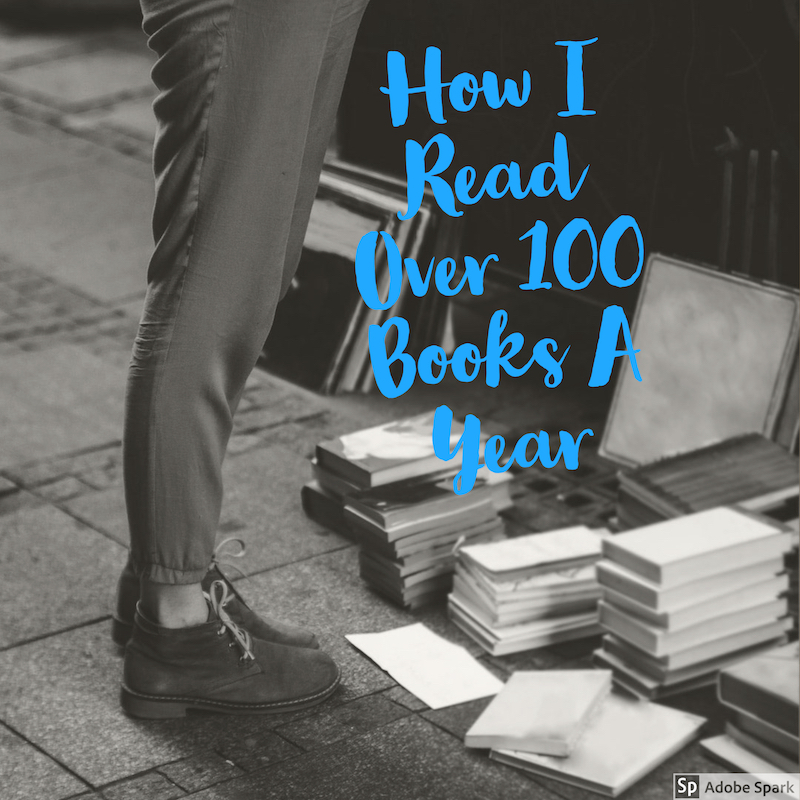 Wow – I’m an avid reader but I don’t consume 100 per year! I have recently started listening to audio books as a way to turn commute time into productive time. I also have no shame in abandoning a book that doesn’t engage me. Thanks for your comment. 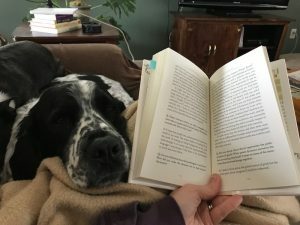 I wish more people were okay with quitting books! I’m so glad my post inspired you, thanks for taking the time to read and leave a comment. I love putting page tabs and notes in books to go back later for reference! That’s a great technique for getting through library material. I also listen to books through overdrive at 1.25! It took me a while to get into audio books but now, I can’t imagine my days without one. I love listening while driving and walking the dogs. 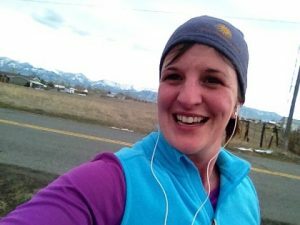 Occasionally I’ll prefer music or silence, but rarely – especially if it’s a great story!